Dana surprised me with the 2015 Scotch Advent Calendar this year and I’m pretty sure she’s as excited as I am about it! Over 25 days I get to sample 25 (presumably) glorious whiskies. 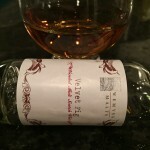 Each evening I’ll update this post with a picture, my tasting notes, and thoughts on the whisky. Nose: Creamy honey, light caramel. 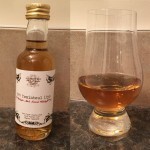 Palate: 61% is quite high and you can’t taste much initially apart from the alcohol. 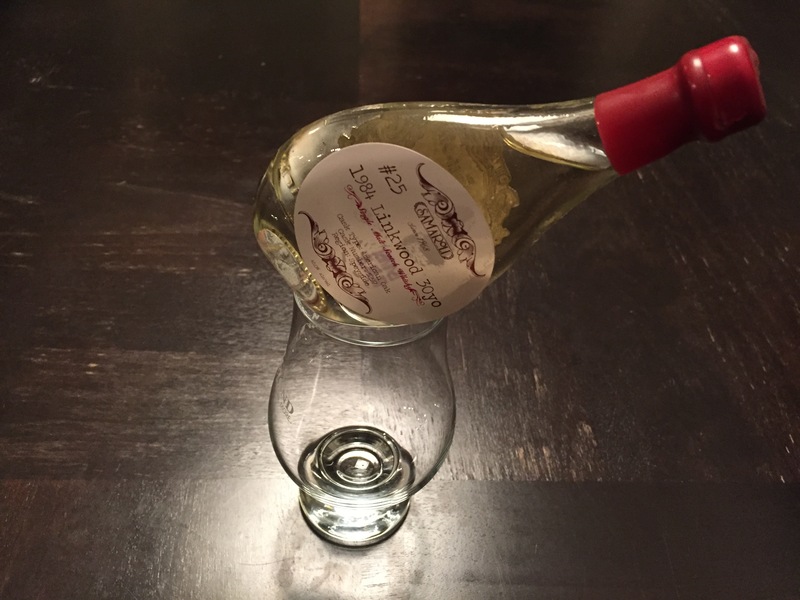 With water you taste honey, pick up on the sweetness from the sherry, and get hints of oak. 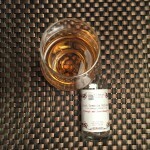 Finish: A medium length finish with a light spice, it becomes sharp and I got a burning alcohol sensation at the end. Overall: It’s a big girl and needs water to properly open up. That burn at the end kind of wrecks it for me and the amount of water you need to stop the burn means you lose the flavours. It’s an average whisky that I wouldn’t seek out again. Nose: Rich caramel, orange citrus. Palate: This one needs water to open up but not as much as you might expect. Oak up front gives way to caramel and citrus. It starts almost syrupy and proceeds to sit “medium” (not light nor heavy) on the tongue. Finish: It’s a warm journey all the way to your stomach. 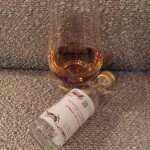 The flavours stay around for a while and fade to a sweet, oaky finish. 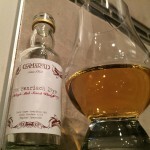 Overall: A rich whisky, I love the beautiful colour and really like how it sits on your tongue. 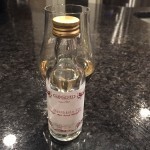 From the front of your mouth to the back of your throat, this was a great scotch and it was gone way too quickly! Nose: Very soft aromatics, I get a hint of apple. Palate: The whisky is light on the tongue as well. A bit creamy and apples follow. There’s not much else to say unfortunately. Finish: A bit of a quick finish that ends with a creamy sweetness. Overall: It’s pleasant but there’s not much going on here. It’s too light a nose and taste for my preference. It feels like a whisky you’d drink to start your day on a ski hill before you get into the stronger stuff. 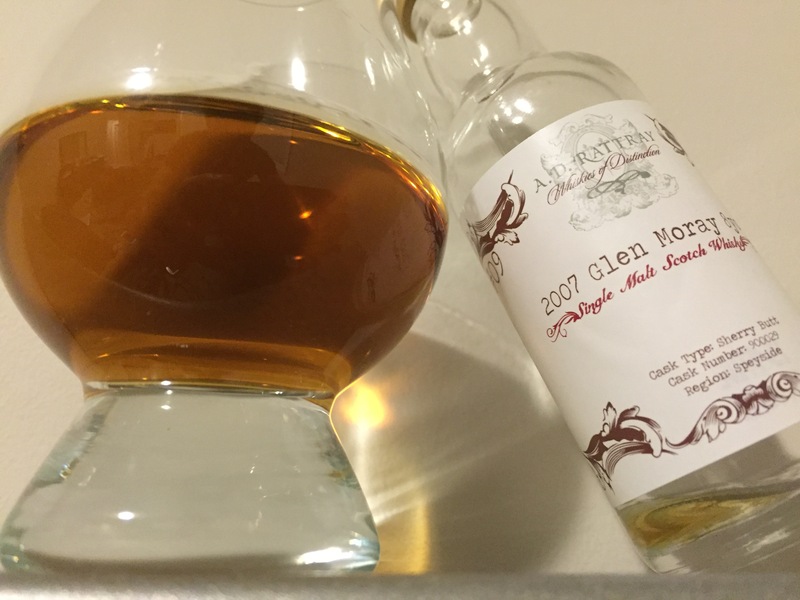 Nose: Full of caramel, berries, and figs. Palate: A velvety toffee open, it moves into figs, dates, and raisins. 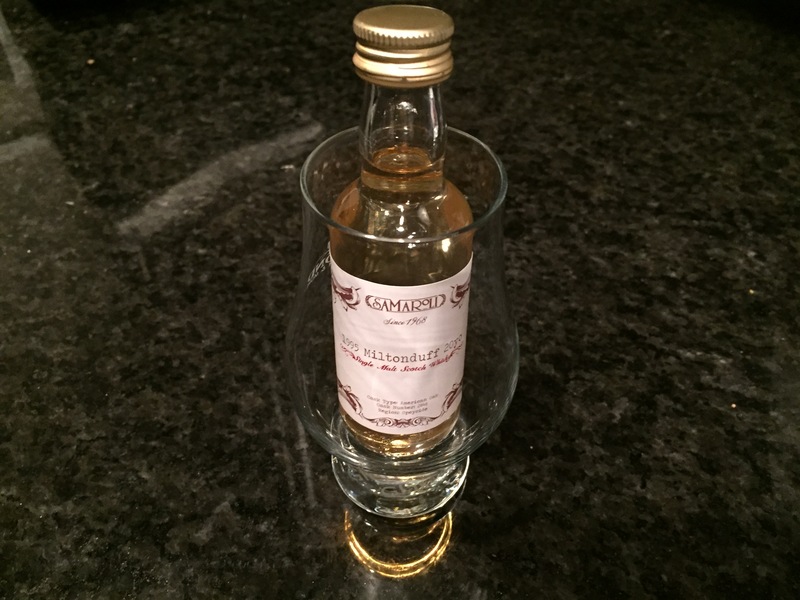 This sits wonderfully on your tongue as you explore the rich flavours of the whisky. Finish: The finish warms you up like a big hug. You get plenty of time to enjoy the figs fading into ginger, with maybe even a hint of cinnamon at the end. 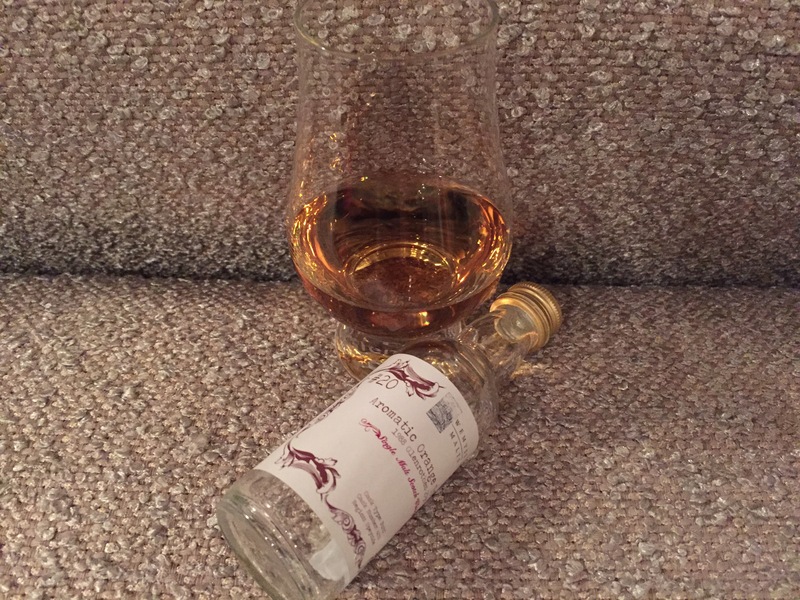 Overall: Christmas comes alive with this whisky – the scents and flavours make me feel like I should get a fire crackling and carols playing. The colour and nose deliver on their promise of a full, rich taste. I’m a bit snobby about blends but this one is changing my mind. 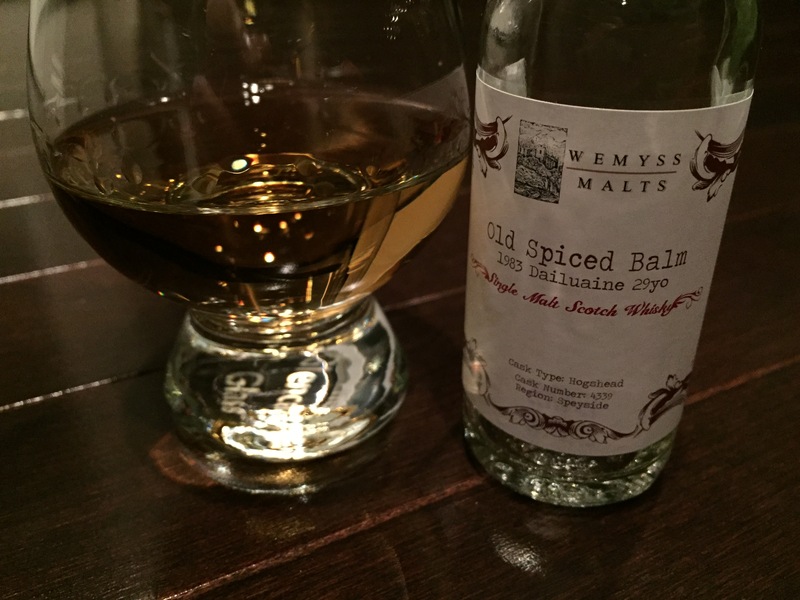 Nose: Oily, peppery, peaty, and sweet. 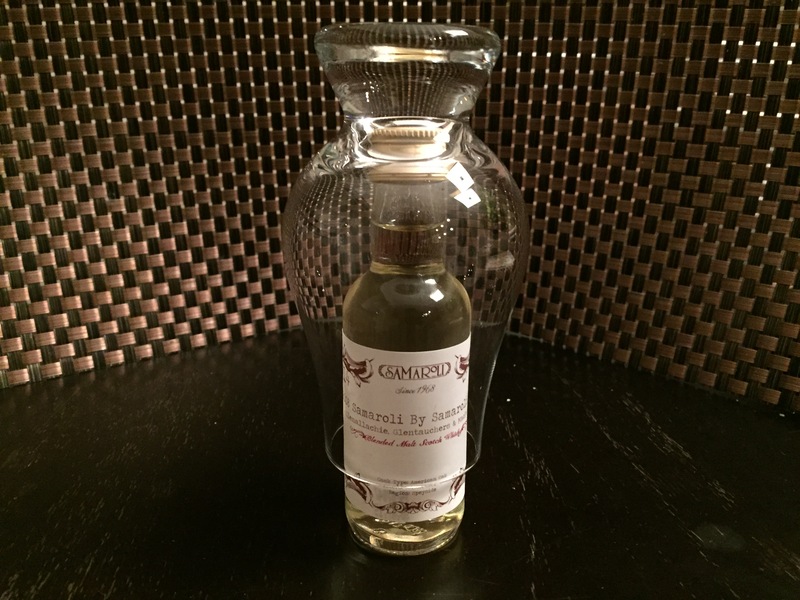 Palate: Signature oiliness of Caol Ila that coats your tongue and, even at full strength, is light and sweet. Love the peatiness of this whisky. With water the smoke is more present and you start to get a bit of a rubber or latex. A bit more water and I got the briefest flash of orange citrus. I may have imagined it, it was so fast. Finish: The salty sweetness stays with you for a long time, like the slow smoky fade of dying campfire embers. At the very end, a taste that reminds me of rubber cement from elementary school. But it feels like it belongs there. 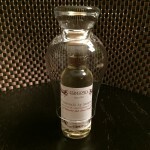 Overall: I already have a fondness for the Caol Ila 12 and was excited to see this bottle! Barely needing water, breathing in and tasting that oily smoke was like seeing an old friend again (to be clear, none of my old friends smell this way). The flavours delivered for me and I loved taking my time to explore the subtleties of this one. 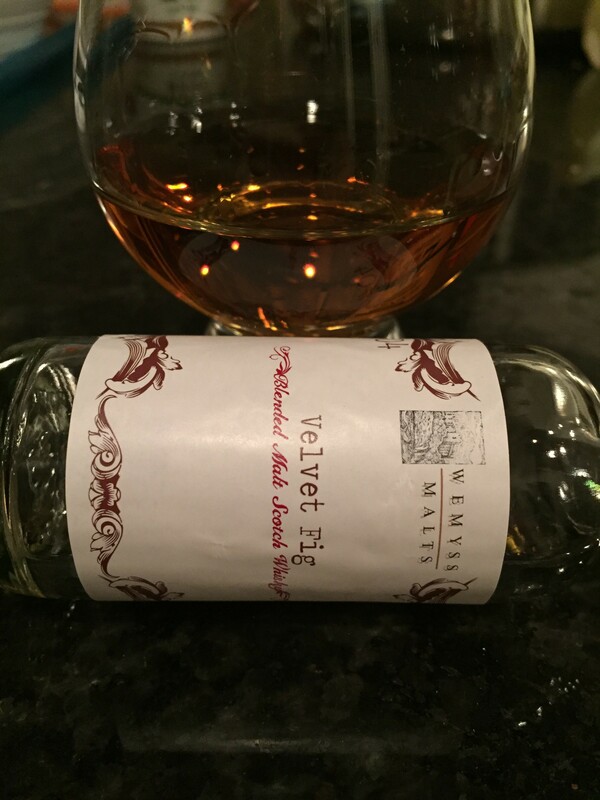 Nose: Sweetness of the bourbon, caramel, and vanilla. 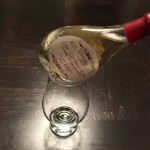 Palate: Need to open with water and let sit a while. Sweet caramel and vanilla coat your tongue. You have to wait for it but I found spices lingering in the background. Finish: As the caramel and vanilla fade, the spices warmed the back of my throat. 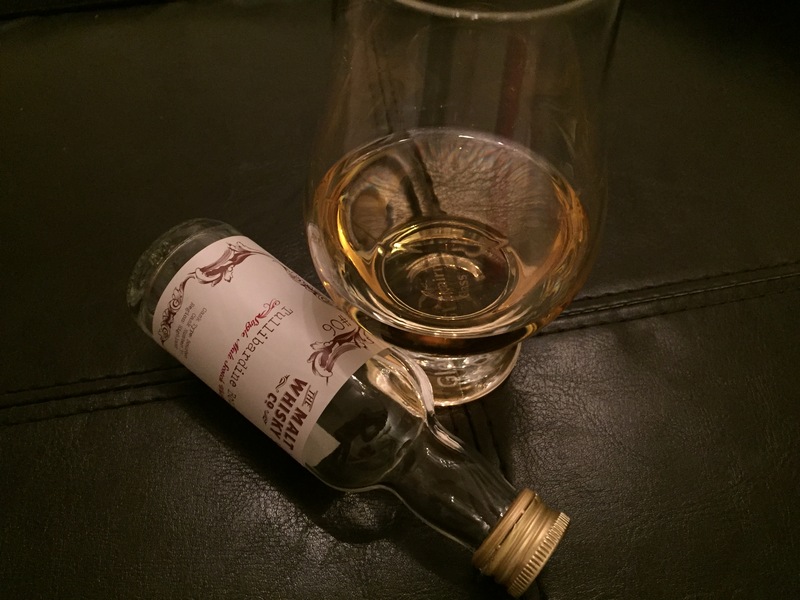 Overall: This whisky leaves me wanting for something more. By the time you add water to reduce the burn there’s not a great deal of complexity which, for some, is perfect. Personally, I want this whisky to be bolder and more robust. Nose: Smells like orange, grand marnier, and honey. Jonathan Bray mentioned buttery croissants and I get a sense of that as well. Palate: The light nose unexpectedly gives way to huge flavour as tangy orange explodes across your tongue. It sits light and sweetly warms you up. Finish: The tanginess stays with you and sits at the back of your mouth. As it fades, the orange mellows and a floral note drifts in. 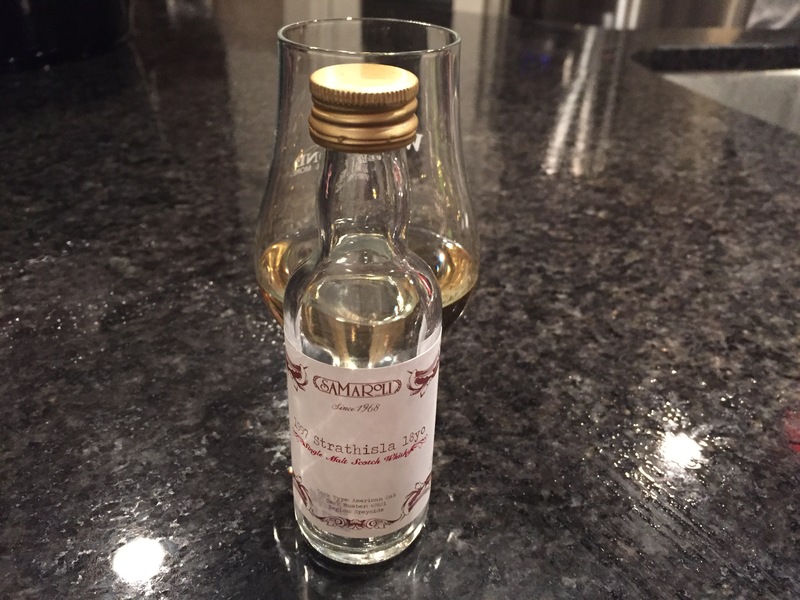 Overall: A great whisky! Light, floral, and bright. Also orange. A lot of orange. It puts me in a jovial mood like I want to share candy with children or something. Nose: Creamy butterscotch and caramel. 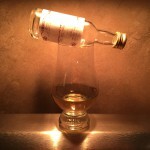 Palate: The whisky starts light and slowly coats your tongue. The taste seems to be mainly at the front half of your mouth with an ensemble cast of caramel, butterscotch, toffee, and honey. Finish: Fades nicely into sweetness with an almost salty note at the end. Overall: I really like the colour, balance, and richness of the whisky. It has a simplicity to it that I appreciate and could drink all night with two or three friends. Nose: Only getting sweet bananas at first. With water you get more bananas accompanied by tropical fruit and a spicy note. Palate: Surprisingly, it doesn’t only burn when you first taste it. There’s a sweet note there too amongst the tingling of this massive ABV. Adding water, the sweetness of the sherry is more front and centre and a bit of citrus arrives with peppery notes. Finish: The sweetness fades and the spiciness stays around, warming all the way down to your belly. Overall: All the tingles at first and this whisky really come alive with water. You should take time to enjoy this one. I quite like how the fruits and sweetness fade and leave you with spicy, peppery notes with each sip. 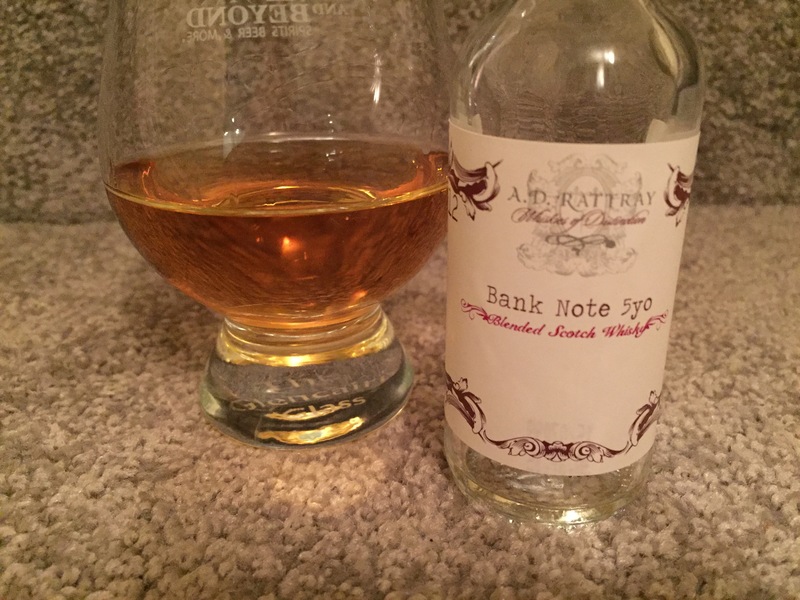 Nose: Peaty right off the bat, burned rubber, weird almost fruity note. I thought maybe I was having an off-nose night so I asked my wife, Dana, to smell it. She wrinkled her nose and said it smells like gasoline. Palate: It sits lightly on the tongue but then my immediate reaction was “ugh.” That burned rubber taste hits you and I don’t find it at all pleasant. 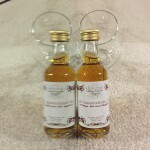 The peaty quality is there but doesn’t seem to have been given its due. 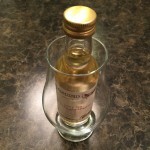 Finish: The finish, sadly, is the best part of the whisky. Burned rubber fades to a nice, flavourful peatiness which I find quite enjoyable. 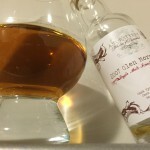 Overall: I have to jump a big hurdle to get to the part of the whisky that I actually like – the finish – and it’s over almost as soon as you get there. 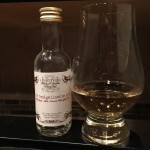 On looks and region, I was hoping this would be a challenger for the Caol Ila. Not even close – that’d be like me picking a fight with Mike Tyson. Apparently, the distillery is Laphroaig which is disappointing because I quite like the Laphroaig 10 year and Quarter Cask. Nose: Tropical fruit, maybe melon, it’s soft and pleasing. 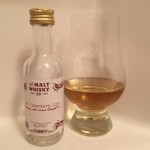 Palate: Very nice on the tongue – almost creamy – light hint of bananas up front followed by sweet tropical fruit and citrus. Finish: The taste fades away warm and soft. Nothing new or changed which, for me, feels like the perfect way to finish. 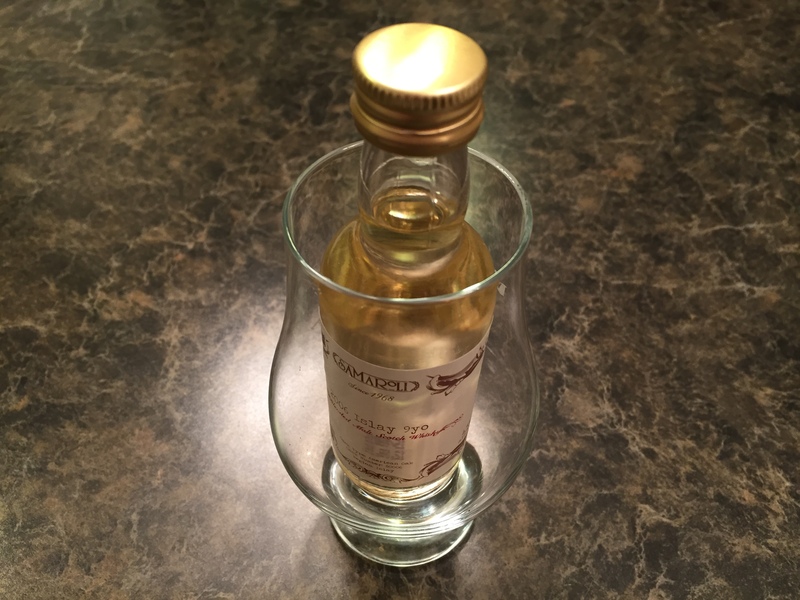 Overall: I’d describe this whisky as having a simple elegance. The soft nose and taste make for a delightful experience start to finish. 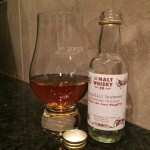 Palate: I found this sharp on the tongue out of the gate, creamy caramel and vanilla follow. Finish: As the flavours fade, I’m left with a tingling sensation which I’m not overly fond of (though it makes sense for only being 5 years old). Overall: I didn’t have high expectations going in and, not surprisingly, this one is a flop for me. It’s one dimensional and tastes like one would expect a young blend to taste. The Kirkland brand rye whisky I have is better. 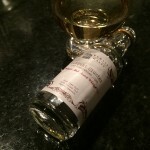 Nose: First impression is it’s nice and peaty. 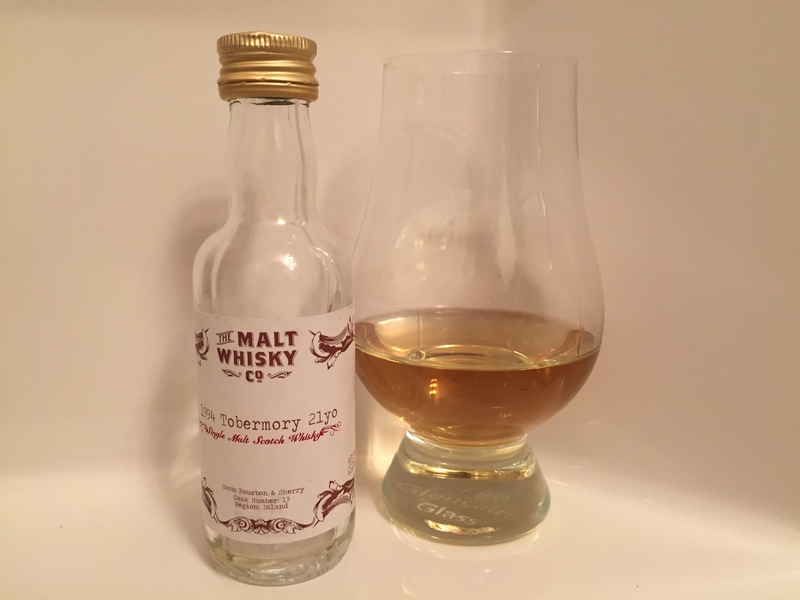 Soft and sweet smoke with faint apple and salty notes are in there. 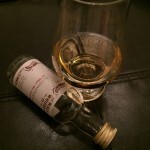 Palate: Oily and peaty, this needs water to bring down the burn. Coats your tongue and warms your throat. Lovely sweetness with a hint of rubber and a pinch of salt and pepper. Finish: A nice, smokey finish that lingers past the fade of the salt and pepper. Overall: I really like this scotch. A lot. It’s one I want to drink all night, ideally sitting beside a campfire since I’m going to end up smelling like one. Based on colour, nose, and taste, I suspect this one comes courtesy of Caol Ila. If it’s someone else, I may have found a fierce competitor for Caol Ila. Nose: Sweet cider and peaches. 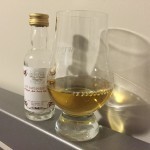 Palate: Sharp at first, it softens to be creamy on the tongue and there’s a nice flavour of apple and peach tart that develops. Finish: It’s a medium length and the flavours fade away into soft apple. I get a bit of a lingering tartness (right where your jawbone connects). Overall: It’s a nice whisky and, because it’s softer, you could find yourself in trouble drinking way too much way too fast. The nose is great and I expected a little more follow-through in the taste. 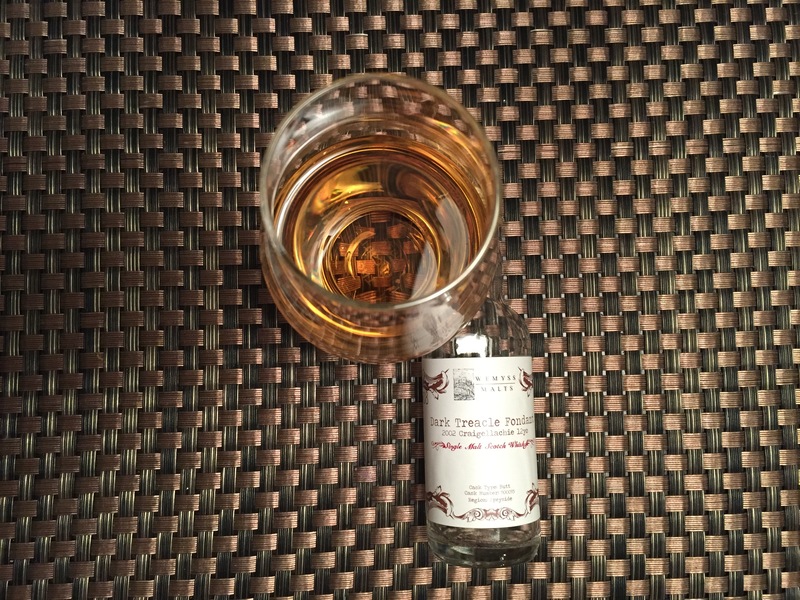 Nose: Sweetness coming from the bourbon cask, vanilla, and coconut rum. Palate: Strong alcohol without water but I do get a hint of coconut and vanilla. Water smoothed things out, brings these two flavours to the forefront, and tropical fruit emerges. 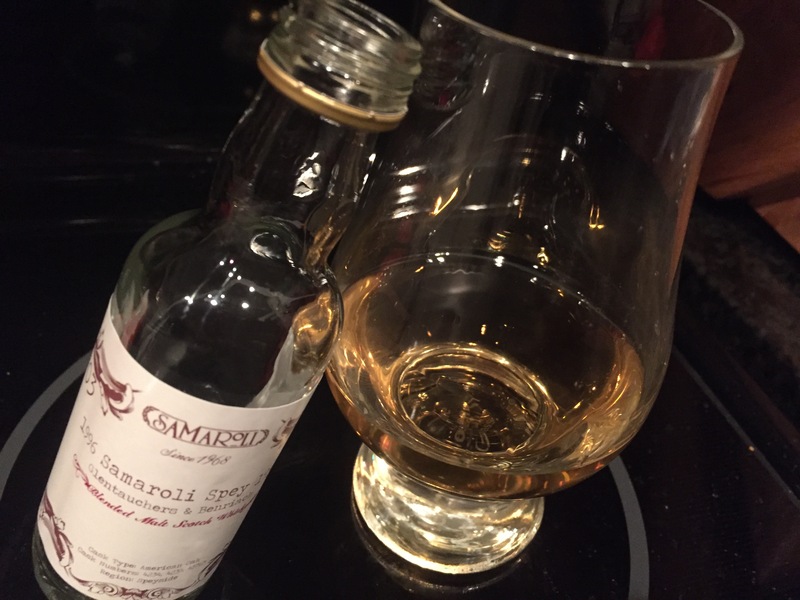 There’s a flavour I can’t put a name to that I’ve also found in the Cameronbridge 33 year old 1974; perhaps it’s common amongst single grain whiskies? Finish: The tropical fruit and coconut linger longer than the other flavours and slowly fade away. 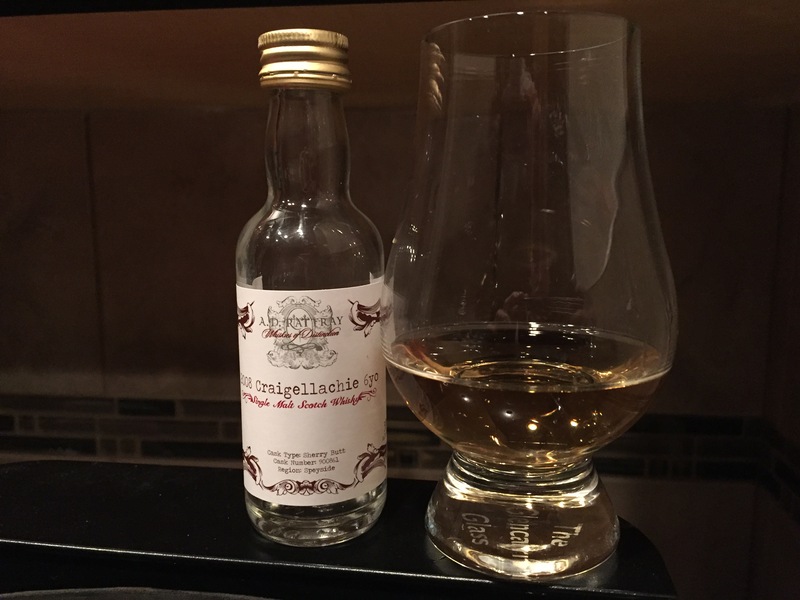 Overall: Wow, what an incredible whisky! I picture myself sitting with a close friend long into the night and putting a healthy dent in the bottle. I really like the difference of a single grain whisky compared to a single malt and this one is excellent. Nose: Light, apricots and honey. Palate: Not heavy on your tongue, almost stays in the middle of your mouth. Honey and apricots much more present. Something in here reminds me of pecan pie. Finish: Quickly fades to the center of your tongue, it warms down into my belly and I get a tingly sensation at the end. Overall: Bright and pleasant but average overall for me. The fruity flavours are nice but the finish is a bit quick; I’m just getting ready to see where this goes and it’s gone. Nose: Apples straight away and caramel. Get a scent memory evocative of white port (which is odd given the sherry cask). Palate: Needs some water to open up. The caramel softens and barley comes out to play. It coats your tongue with the flavours, allowing you to really enjoy what you’re tasting. Finish: A long time for the flavours to fade away. There’s almost a spiciness that flashes and fades a few times along the way. Did I mention it’s a long finish? Overall: Really like how it coats your tongue and finishes long. 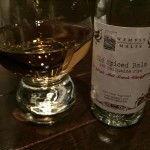 Would like a bit more complexity in the flavours but for a six year-old whisky this is impressive. There’s a bit of sharpness there that would likely disappear with a few more years in the cask. Nose: Soft but hard to sense without water. Adding a bit and you get chocolate and sweetness. 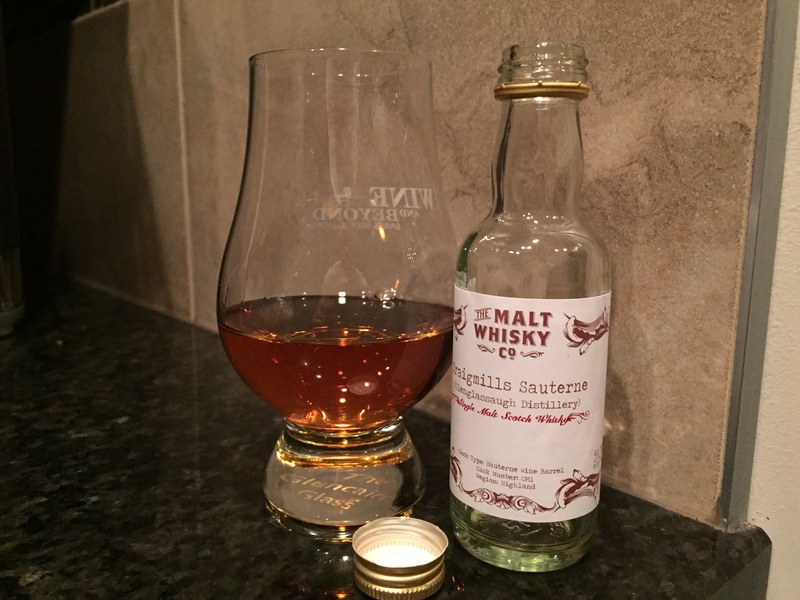 Palate: Sits nicely on your tongue and doesn’t burn as much as you’d think at cask strength. Adding water you get apples, honey, and hints of oatmeal, all wrapped up in a very nice mouth feel. Finish: Long and warm, there’s an appearance of dandelions near the end (credit to Jonathan Bray because I couldn’t put my finger on what it was) which is really neat! You just have to wait to find it. Overall: This is a whisky I’d have earlier in an evening to get things going, though I may very well find myself drinking it far into the night. It’s light and packed with flavours once you add a bit of water. It seems simple at first, which is deceiving, and I like how it evolves the more I sit with it. Palate: Not a lot shows up here, almost like the flavours are shy to come out. There’s an earthy, smoky note and a subtle hint of toast. 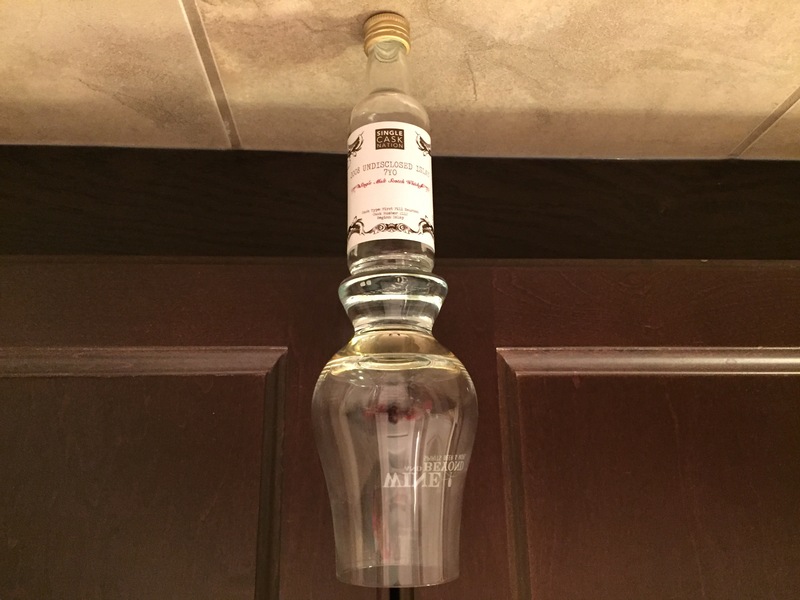 Finish: This where the whisky shines and, wow, this really warms you up going down! Like someone lit a fire in my chest. There are fire-roasted savoury notes that I can’t give names to but I can tell you they’re there. Overall: Too soft for my liking, I wanted the taste to bring more of those savoury and smoky flavours forward. The finish is long and warm and, as I said, is where the story is on this one. 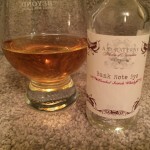 Nose: Sweet Mandarin oranges, hint of tobacco, toasted wood. Palate: Coats your tongue in orange, really nice citrus and light spicy notes. Finish: Medium-length fade with an orange zest and spiciness stays until the end; makes for a great finish. Overall: This is an excellent, easy-drinking whisky! The orange and citrus make it soft and the spices give it a great depth. I didn’t pick up on the tobacco in the taste or finish which I wish I had. Perhaps a lazy palate tonight! Nose: Soft and delicate, you need to sit and nose it for a while. Vanilla and citrus fruits. Palate: With a drop of water, you get a burst of creamy orange and citrus. Very light on your tongue though. Finish: The citrus flavours fade rather quickly with a lingering note of orange. Overall: It’s light, soft, and all about citrus. It’s nice but not one I’d seek out; I like something more robust. Nose: Sweet dark fruit (cherry is what comes to mind) and iodine. With water, I’m reminded of lemon meringue. 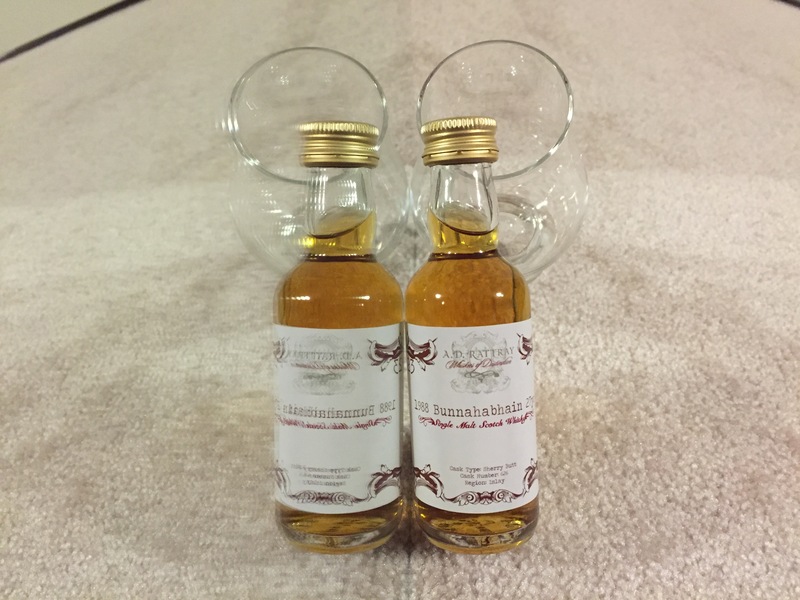 Palate: The nose follows into the taste at cask strength but the whisky needs to be watered. 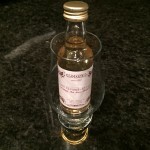 With water it softens and the sweet dark fruit flavours along with a dash of salt coat your tongue. Finish: A dry, medium-length finish (dry is not something I’m used to including in tasting notes). The dark fruits fade and provide a few glimpses of salt along the way. A very nice peppery note right near the end. 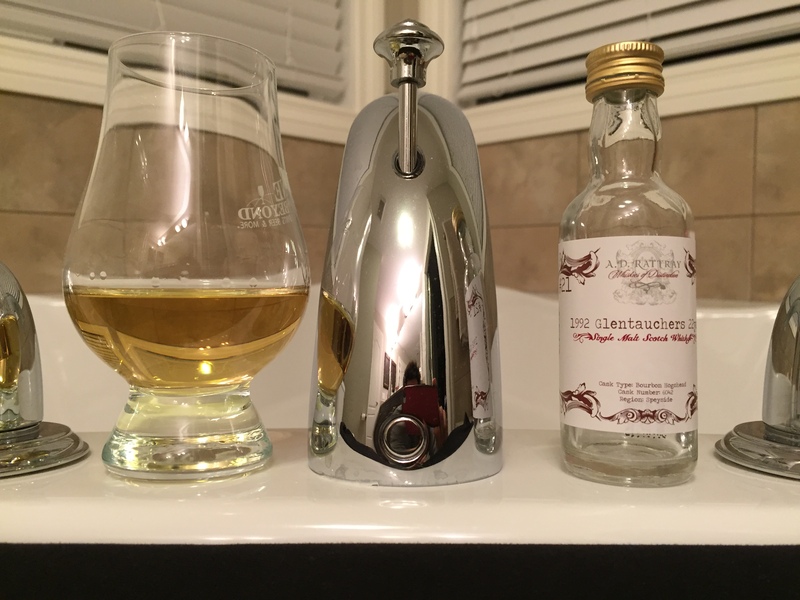 Overall: A complex whisky and a welcome one! 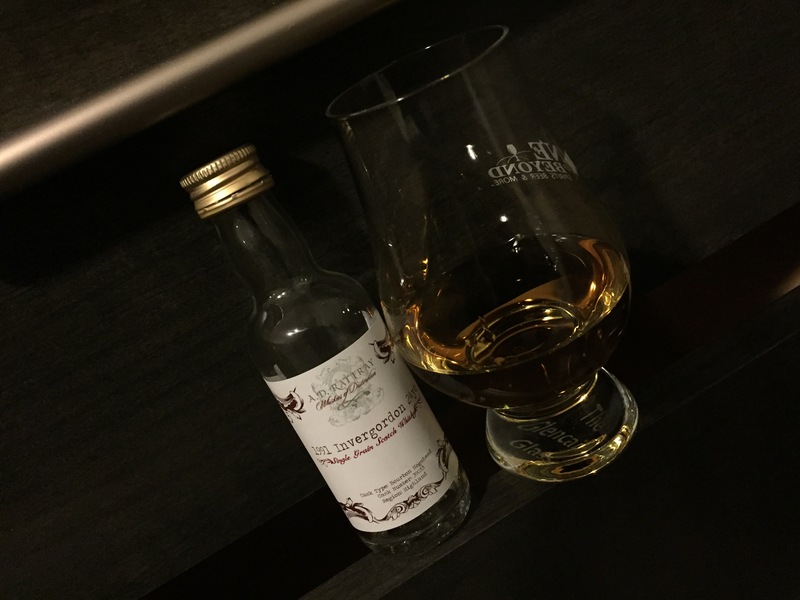 I quite enjoy the salt woven in, the dark fruit notes, and the way that a few drops of water let you really explore and appreciate it from nose to finish. Nose: Dark orange chocolate, leatherbound books, and gingerbread. With a kiss of water, brandy and allspice. Palate: Without water, leather and tart orange. With water, candied ginger, orange zest, and brandy. Finish: A small fire ignites in your chest as sweet and savoury spices play at the back of your throat. All of which slowly fade away. Overall: Amazing. 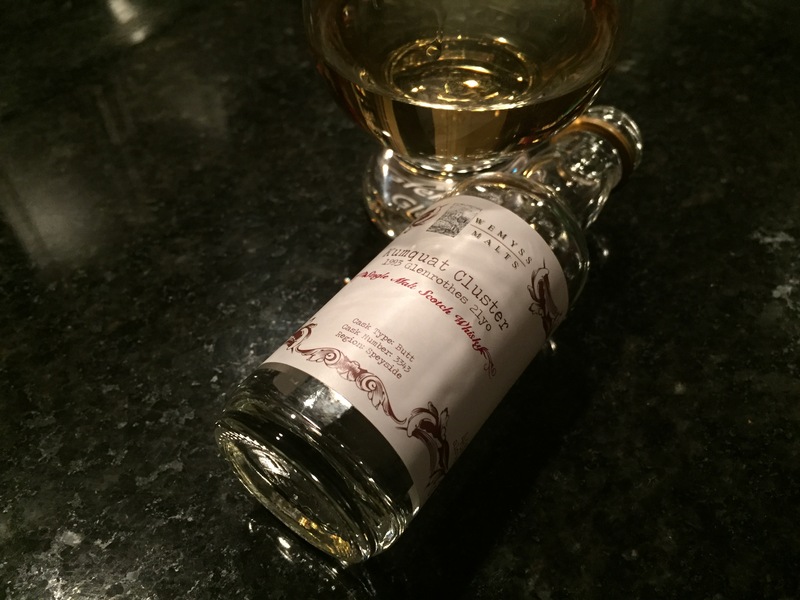 The sherry cask shines throughout and provides a rich interplay of flavours. I love the warmth and comfort of this whisky; I’d make a sweater out of it if I could. Nose: Light tropical fruit (banana perhaps?) and a well-stocked spice rack. Palate: A bit of an oily or honey feel which coats the tongue. Spices flit across my tastebuds as notes of citrus develop. Finish: Long, gentle fade with lingering spice. Overall: It took a few minutes to grow on me but I’m glad I took the time. Smooth and rich, I’d pair this with (or have shortly after) a slice of apple pie and vanilla ice cream. 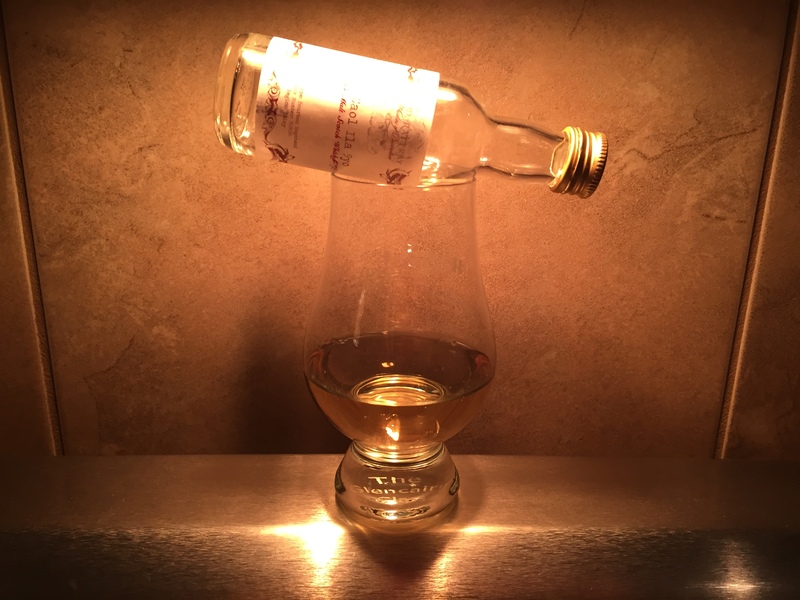 It’s one to savour slowly as you sit in a comfortable chair and contemplate if this dram is the one that caps your night (I’d go back for one more). 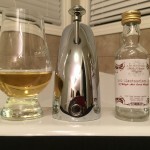 Nose: Sweet dry pear/apple, soft smoke, and a hint of peat. 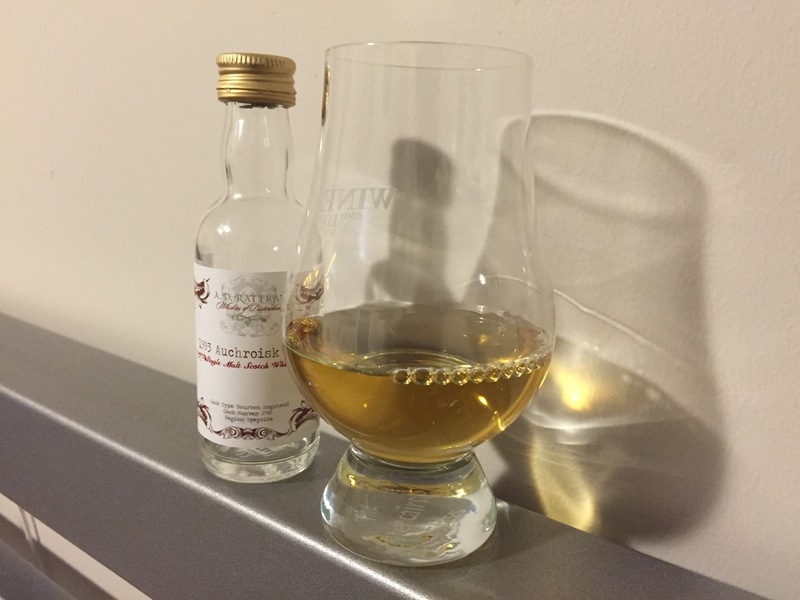 Palate: Salty and peaty, dried pear and apple play a big part, and a nutty wood note appear. It sits light on your tongue, allowing you to experience it without distraction. 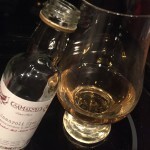 Finish: As the flavours fade, the peat softens and hangs on til the end. It warms you up as well which is like getting an unexpected hug. Overall: A very nice way to end the calendar. 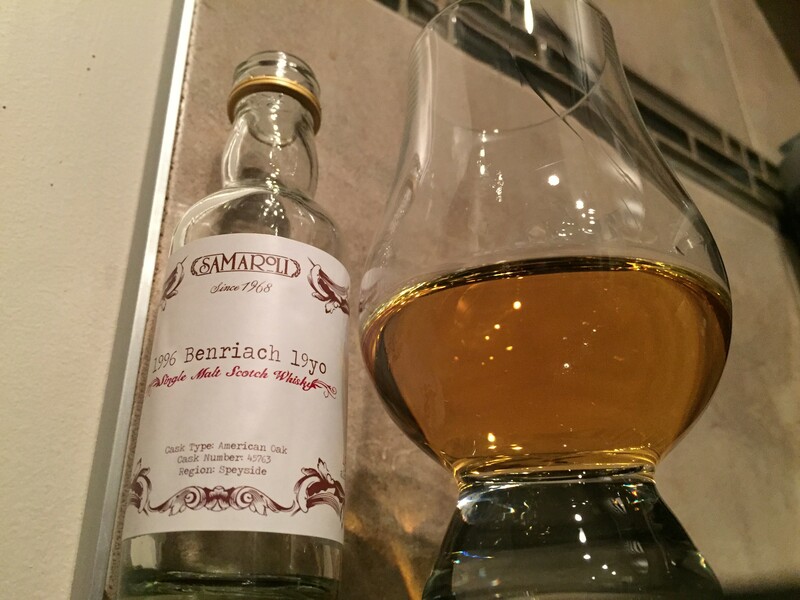 The mix of sweet fruit flavours, smoke, and peat made this one really enjoyable. I shared it with my dad (who was over for Christmas dinner) and he approved. So there’s that too. 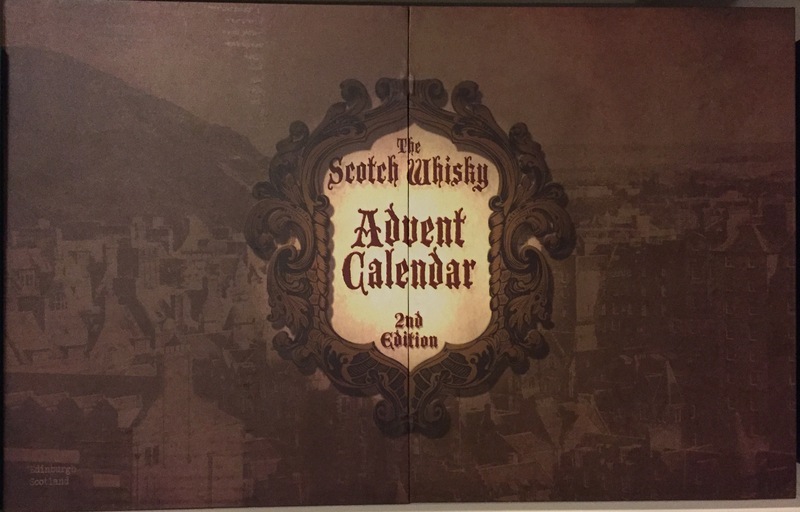 It’s great to walk this whisky advent journey with you. 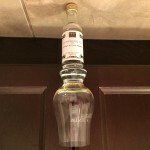 Keep up the … drinking!